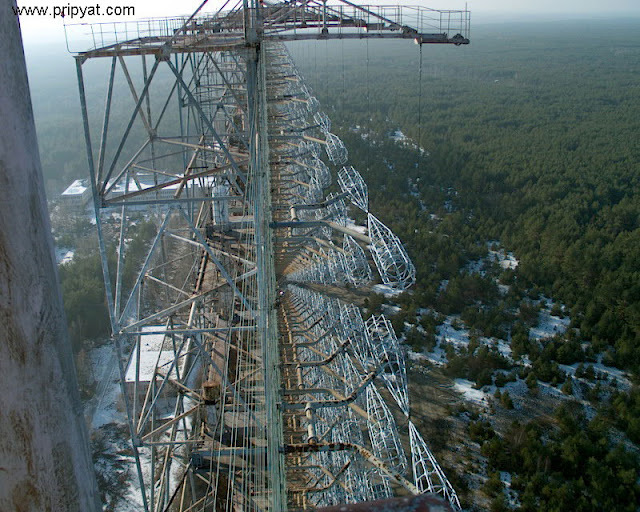 This gigantic antenna system called Duga-3 is located near Prypiat in the Chernobyl area. 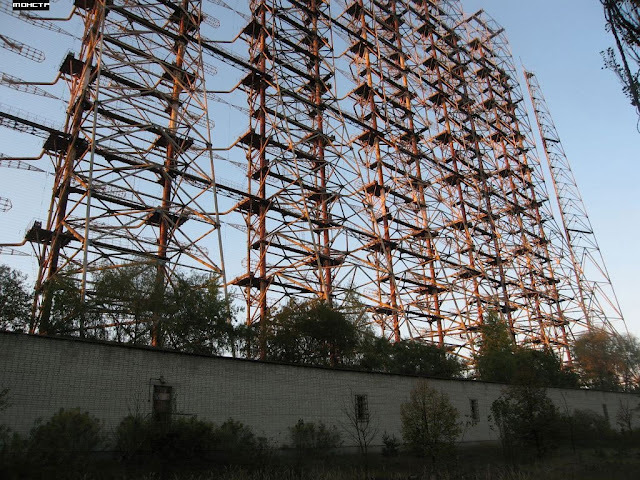 It was built in the 70's as an early missile detection system (over-the-horizon radar system). 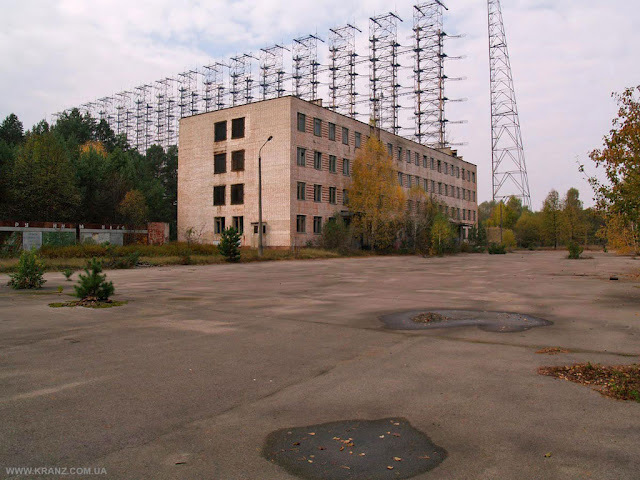 It was also called the Steel Yard hence its distinctive appearance. 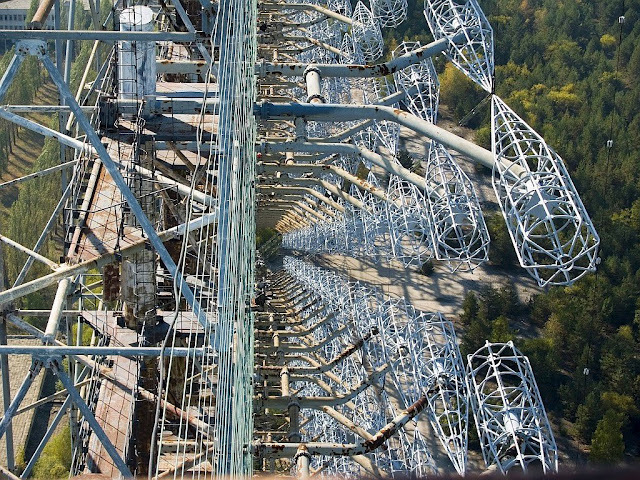 The antenna was deactivated in 1989. 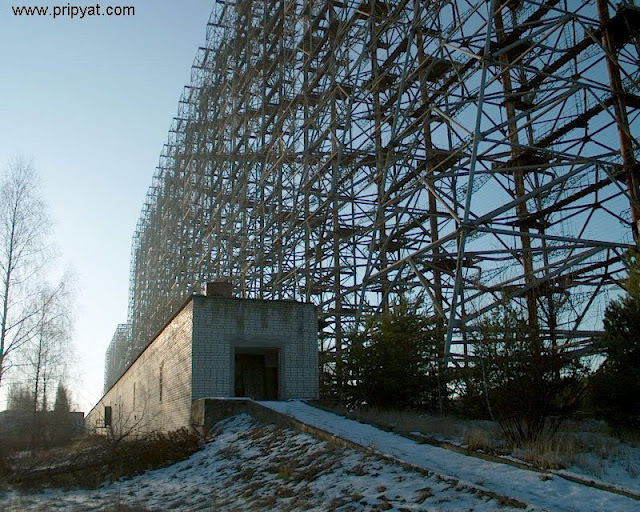 The Russian Woodpecker was a notorious Soviet signal that could be heard on the shortwave radio bands worldwide between July 1976 and December 1989. It sounded like a sharp, repetitive tapping noise, at 10 Hz, giving rise to the "Woodpecker" name. 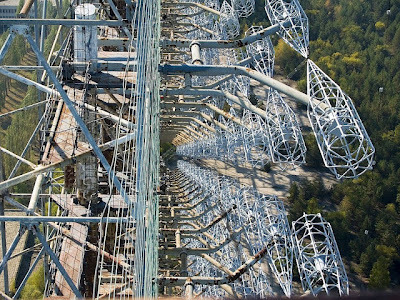 The random frequency disrupted legitimate broadcast, amateur radio, and utility transmissions and resulted in thousands of complaints by many countries worldwide. 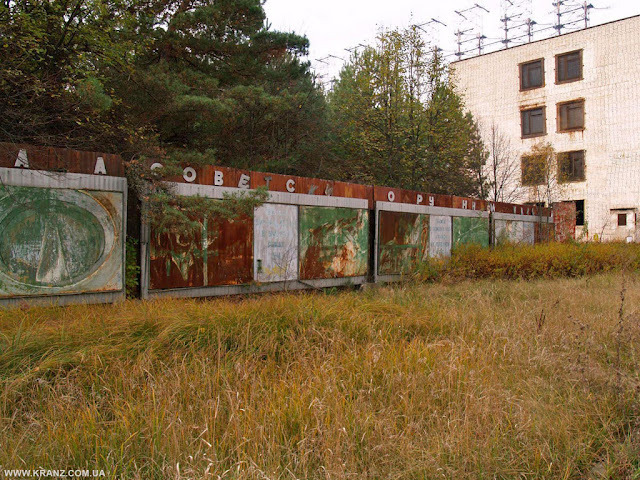 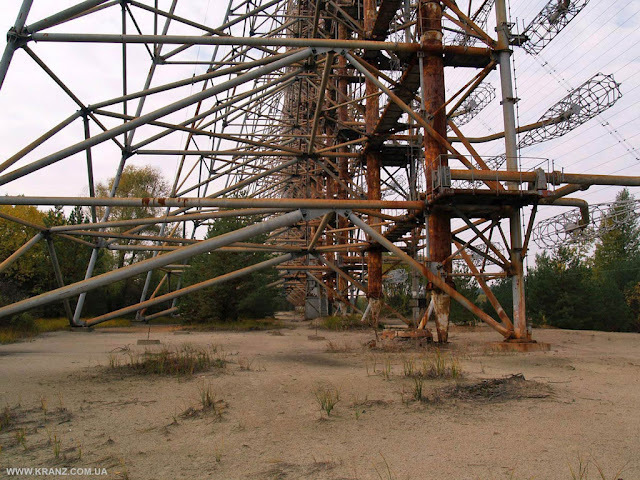 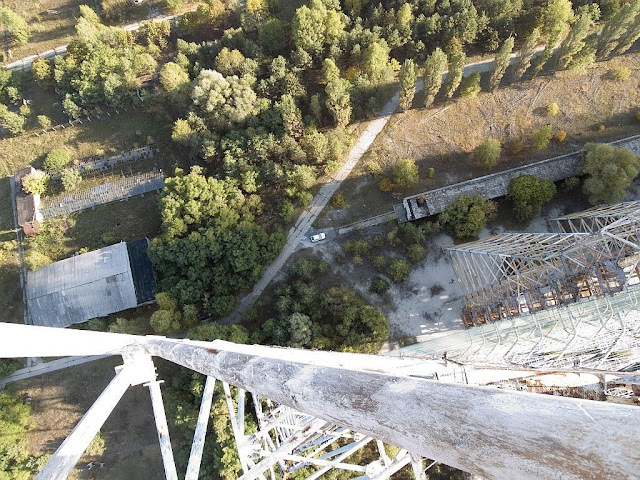 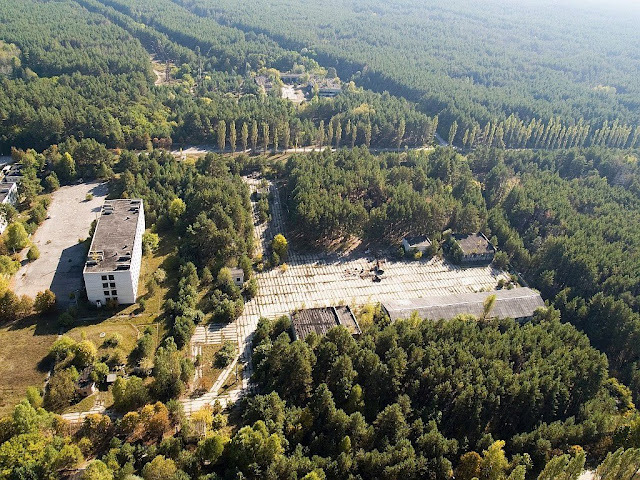 2 responses to "The abandoned giant Duga-3 system antenna near prypiat"
I'd seen this before, not as many pics. 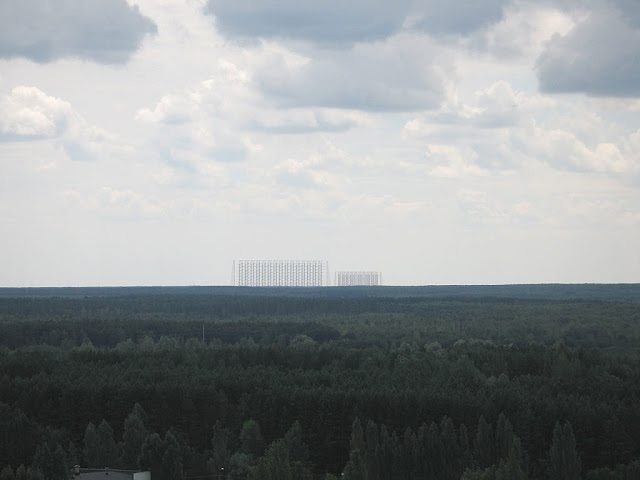 Didn't it actually broadcast some sort of interference or something?